It may seem difficult to think of gift ideas for the Senior citizens in your life, but there are many gifts that would be useful to them that are inexpensive and thoughtful. 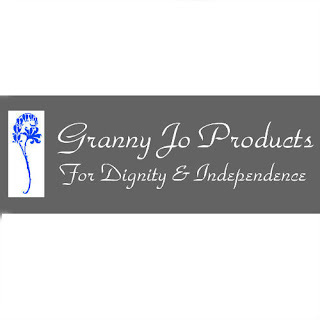 Grannyjoproducts.com has many well made items that are designed specifically for seniors. 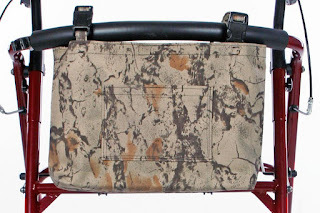 Walker/Wheelchair/Scooter bags are a great gift to give seniors. It allows them to keep their hands free and tote personal belongings around while keeping them in sight. There are several different collections to choose from on the website. Wheel Chair blankets are warm and cozy. 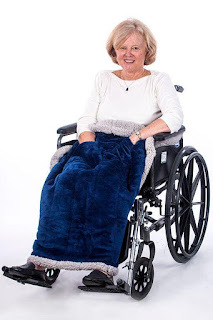 They attach easily to wheelchairs and allow you to keep your loved ones warm while you transport them in cold weather. It also has pockets to keep belongings or to keep hands warm. Here is a demo on how to use this blanket. Dignity mugs are beautiful mugs that have 2 handles. They are specifically designed for those who do not have steady hands, or strength to hold mugs anymore and help prevent spilling. They come in many beautiful patterns as well as plain white. 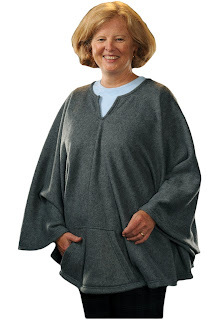 Fleece ponchos are warm and lightweight. Seniors may suffer arthritis, aging aches and pains or simply don't have the strength to put coats or sweaters on and off. These ponchos go on and come off easily. They are great for taking a chill off and perfect for those confined to wheelchairs or beds. 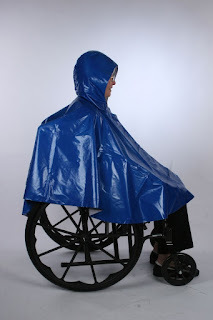 This rain poncho is perfect for anyone in a wheelchair. It is large and covers both the person and the chair to keep both dry. 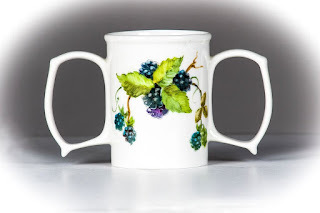 There are many other wonderful products available from GrannyJo Products. 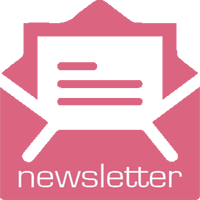 Please visit their website to learn more about all of the throughtful gifts that are available for your loved ones. You can follow GrannyJo Products on their social media channels for updates on new products and other useful information. Disclosure: This is a sponsored post. 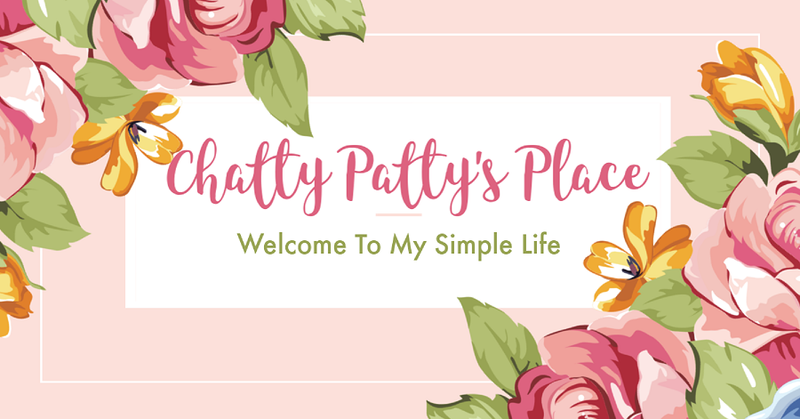 I received products to review.